Are you wondering how to choose the best corded hammer drill? Are you unable to decide what features are best suited for masonry or metal work drilling? Well, this is the right place to find your answers. I will discuss the pros of a corded drill and prices in relation to quality of the drill. We’ll also discuss which drills are designed for light use, and which drills are meant for heavy duty work. The hammer is a very important feature that makes drilling through hard rock or concrete easier. I have come to learn that one should never assume that every drill has all the standard features. This is why I have decided to write this comprehensive guide on how to choose the best corded hammer drill. A corded hammer drill is a tool used to make holes through wood, metal, concrete, and rock. The electric power drives a motor shaft and drives the drill bit in a rotational motion. A corded hammer drill has the hammering action added to its drilling function. This is achieved by pulsating the drill’s chuck forth and back, using two steel cam plates as it rotates. Usually, you can have three possible operation modes. This is a powerful rotary hammer drill. It is powered by 7.5 Amp motor. It speed varies from 0 to 1300 RPM. This hammer drill has a bump that varies from 0 bumps to 5800 BPM, capable of 2.0 ft/lbs impact energy. It has a D-shaped handle suitable for downward and overhead drilling. To achieve flexibility and long life, its cord turret is pivoted at 35 degrees. This drill is also equipped with an integral clutch for achieve soft torque reaction. It is has been rated 259 times in Amazon and 86% of its users gave it a 5-star rating. This drill costs about 179 dollars. 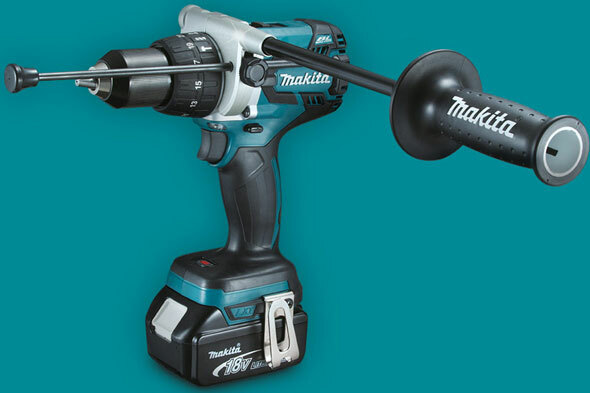 This drill is rated at 7.0 Amp and is capable of handling tough jobs. It has an all metal keyed chuck for maximum retention. It has a forward and reverse brush features if you need to fasten screws in wood, metal, and plastic. This is a 1/2 inch pistol grip drill for masonry and metal drilling. 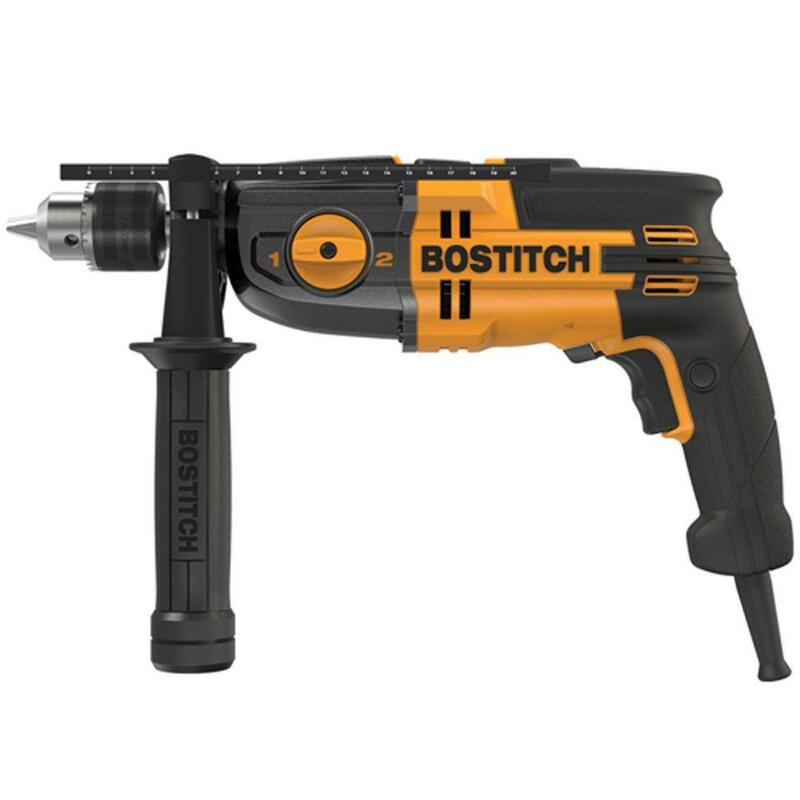 It has a reversible speed with a motor rated at 10.0 Amp for drilling as well as tightening fasteners. It delivers speeds that vary from 0-1200 RPM. This is a single speed hammer drill suitable for masonry and concrete work. It can also drill wood and steel. The 7.8 Amp motor delivers 650 watts at maximum power. It can deliver bumps that vary from 0 to 46,000 BPM for masonry applications. The DW511 comes with a depth rod, a key and front handle for greater control. 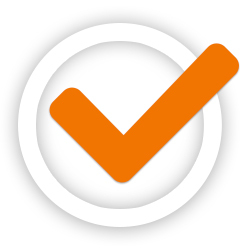 It has a three-year limited warranty and a 90-day refund guarantee. This drill has overload protection for its 10 Ampere motor. It can drill 1/2 inch in steel, 5/32 to 7/16 inch for concrete drilling and 1-1/2 for drilling wood. It has a dual speed range of 0-3,500 or 1-1,200 for greater robustness. It has a 360-degree front handle for easy positioning. This product is backed by a 3-year limited warranty. It is powered by a 7 Amp motor and a dual speed transmission of 0-1100 or 0-3100 RPMs. The low-speed setting provides more torque for drilling through hardened steel, and concrete. The high-speed setting allows one to work faster with wood, plastic or aluminum. The metal casing provides greater protection for the motor. It also helps dissipate heat faster to keep the motor cool. It has a side handle and a depth rod for masonry drilling. It has a 1/2 inch keyed metal chuck. This drill is powered by a motor rated at 7.0 Amp. It can switch between hammer and drill mode. The two modes enable it to drill concrete, block, brick, wood, metal and other materials. It has cast housing for faster heat dissipation from internal components. This reduces chances of overheating during prolonged use. It has a dual speed of 0-1,100 and 0-3,100. The first setting gives more torque and the second more speed. It also comes with a key chuck and a depth rod, used for masonry work. This drilled is powered by a 6.0 Amp motor, enough for a variety of drilling applications. It is 1/2 inch hammer drill with a bump speed range of 0-2800 BPM. It speed varies from 0-2800 RPM. The hammer action enables drilling of stone and concrete with ease. It comes with a keyless chuck for fast and easy changing of the drill bits. The variable speed trigger in this drill offers greater drill precision. This is great in situations where controlled drilling is needed. This hammer drill features 7 Amp reversing motor. It’s suitable for fastening, drilling concrete, wood, steel or aluminum. It uses a 2-mode selector to change the drill to rotation or hammer drill mode. It can be used for light and heavy duty applications. This hammer drill is designed for drilling cement blocks, concrete, metal, wood, and bricks. It can also fasten or loosen screws. It features a 5 Amp motor with a variable speed of 0 – 2,900 rpm. It comes with a speed dial for easy setting of the speed range. This is a hammer drill that features a 10.0 Amp motor for the best drilling performance. It generates 50% more power than other drills of its weight and has overload protection. It can easily install and uninstall concrete screen anchors. In concrete, it can optimally drill holes of 3/16 inches to 3/8 inches. It can also drill wood and steel. The DeWalt DWd520 comes with a depth rod for measuring depths of concrete drill holes as well as a chuck key for tight fastening. In Pistol-Grip, the drill looks like a pistol. The handle is behind and below the motor. In the T-handle, the handle and trigger extend downwards from the center of the motor shaft. This gives the “T” shape. It has a great weight distribution which is good for prolonged use. In the D-handle, the handle and trigger are right behind and in line with the motor. This design is great when drilling studs and joists. The spade-handle is like a T-handle except but it is “D” shaped and is behind the motor. This design is for drilling larger holes, stirring paint, and mixing of drywall mud. This is the part that holds the drill bit in place. It should be strong enough to make sure the drill bit does not slip out. This happens during rough handling or drilling hard surfaces like rocks or concrete. Some chucks are tightened or loosened using keys while others don’t use keys. Chuck-less keys are tightened by hand, which is great. Have you ever lost or misplaced a chuck key? Well, if you have, then you know how great that can be. Keyed chucks are the best if you are drilling tough materials. If you are unsure of the chuck size, choose the keyless 3/8″. It is the best for light to general drilling work. The bigger and more powerful motor gives you more options when doing both light and heavy work. So, the bigger motor, the better the performance. Most drills have enough power to do any general work in the house. The drill power is measured in amperes, (amps). The general range is 5-10 amps. The more amperage the greater the drilling power it has. More power means less chance of overheating and wear of the brushes. This will make the drill’s motor last longer and by extension, the drill itself. Drilling should be done at different speeds depending on the material you are drilling. Drilling through wood requires less speed than drilling through metal. The type of drill bit will also affect the drilling speed. 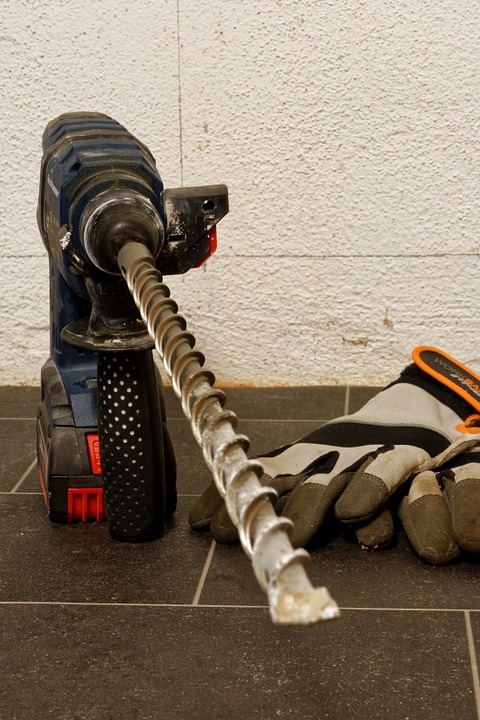 A metal drilling bit spins faster than a masonry drill bit during the drilling process. The drilling speed is also affected by how hard you push the drill while drilling. Use an operating speed of 700 to 1,000 rpm. This speed variation is enough unless you are drilling specialized materials. This function is measured in blows per minute (BPM). This is now considered a basic function and you should ensure that you buy a drill with one. This feature should not be on permanently. It is only meant for drilling concrete walls, rocks and rocky ground. What is a drill bit? A drill bit is the nail-like metal part fitted in the chuck and used to do the actual drilling of the hole. Steel bits are used to drill metals, fiberglass, PVC or wood. Masonry and Spline Shank bits are for drilling concrete. With the above features and benefits in mind, let us take a look at the following corded hammer drills.